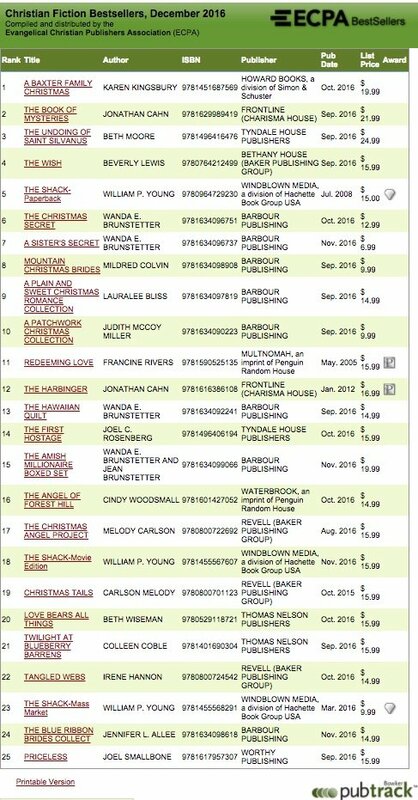 Blessed and honored to be among these great books and authors on the ECPA December 2016 Bestseller List! Here’s a screenshot because the link may not be searchable after December, but a picture lasts forever 😉 This time it’s #24. But look at the rest of the field…oh, and they only note the first author name so lucky Jennifer AlLee gets some fun publicity but there are 9 authors in the collection: Jennifer AlLee, Angela Breidenbach, Darlene Franklin, Cynthia Hickey, Carrie Fancett Pagels, Amber Stockton, Niki Turner, Gina Welborn, and Becca Whitham. Congratulations to my sister authors for the work they did writing each individual novella. Congratulations to our agent, Tamela Hancock Murray, and to our publisher (and the editors, staff, designers, and friends) at Barbour Books! Writing novellas, where you’re given 20,000 words to tell a complete story is tough. Just ask any of the authors! But one of my favorite reasons that novellas are perfect for today’s busy woman is that you can sit down and read one, come back and read another, and not feel like you can’t finish a story when life is getting busier all the time. My second reason for loving novellas, especially Christian romance, is the positive feeling I get in short story bursts. It’s tough to get a satisfying read if the book takes me a ton of time to finish these days. But I smile through them and I smile writing them and I smile when I close the story. The beautiful covers Barbour Books does on these 9-1 historical romance collections have artwork inside the cover flaps. And those make the most wonderful bookmarks as I hold my spot for the next novella. Hitting the ECPA Bestseller List is an honor. But it’s even more of an honor when I find out what I wrote touched a life somehow. So if you get a copy, please share what you liked, even if it’s a simple laugh that made your day. Because learning that encourages me and the other authors to keep trying to write stories to make your day and uplift you in this journey of life. 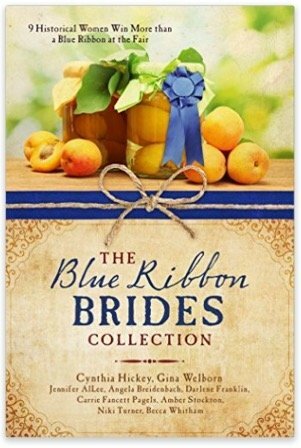 Thank you to all who have read Blue Ribbon Brides and to those who have left reviews on your favorite review sites. That makes a huge difference in the careers of hard-working writers. Thank you, thank you.